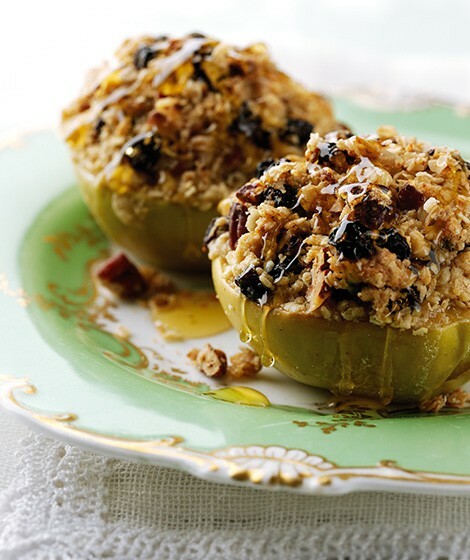 Just a drizzle of honey makes these baked apples a truly irresistible treat. Halve the apples and scoop out the core, place cut side up in a roasting tray. Rub the butter into the flour, sugar and oats until it resembles breadcrumbs, stir in the currants and pecans. Press onto the tops of the apples and bake for 25-30 minutes or until apples are tender. Serve with ice cream, clotted cream or drizzle with honey. Try using wholemeal flour for a healthier option.